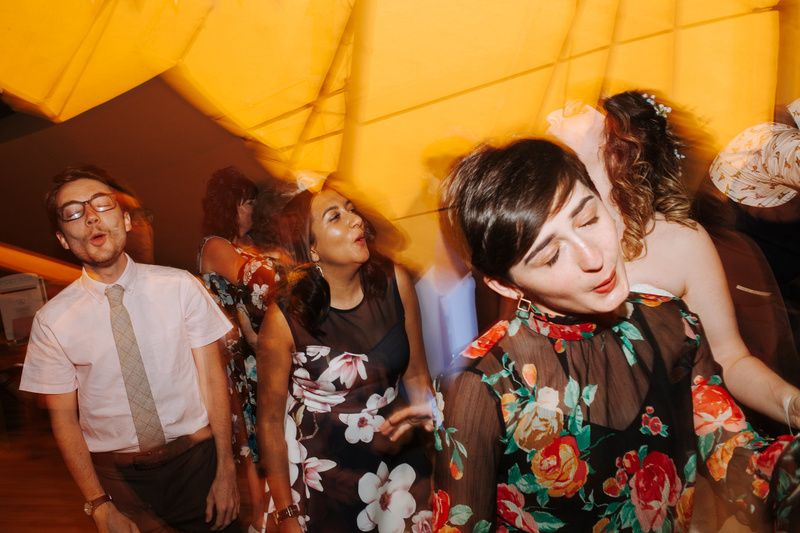 No doubt, if you photograph weddings, you may already have experienced the occasional crazy antics that may occur during the night time when glasses are getting emptier, high heels get taken off in favor of bare feet, and the upbeat music even gets the grandma joining in for a round of dances. 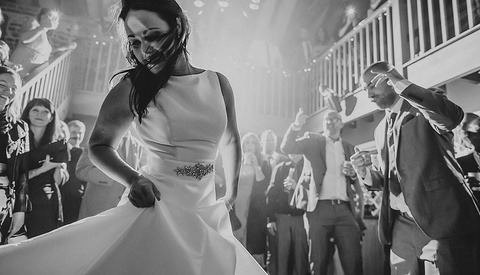 Bearing in mind that no wedding will ever be the same and the evening energy levels will greatly vary between couples and how their guests react to the music and activities, you still have the opportunity to make the most of it, even if just a couple of kids are occupying the dance floor. To help you figure out the approach to this type of coverage, photographer and videographer Eric Floberg demonstrates a brief video tutorial on how to use your flash and camera to achieve this colorful and fun look. You don't need an expensive setup, so as long as you have a camera and a flash you can follow this technique and start experimenting. Don't have any weddings to try this method during? Not a problem! Grab a few of your friends, turn on some party lighting in the background, get the music going and start shooting. Why wait until your next wedding when you can start practicing at home already? Settings and techniques aside, I also find that feeling comfortable in your own skin to get in the middle of the wedding party can be just as important for you to achieve these shots. Having the confidence to get among all the wedding guests is something that depends on your personality, and if you're feeling a little shy, take time aside to work on this during your quiet season by perhaps photographing night club events and parties. Don't let your fear keep you from creating unrepeatable moments. 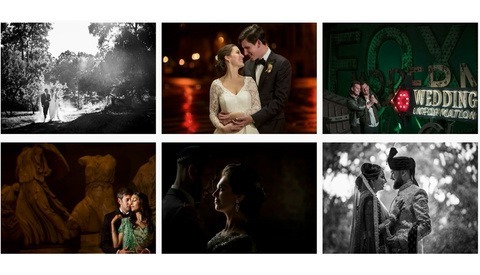 Do you enjoy shooting the night time activities during weddings? shutter speed of 'one over four' is one quarter of a second. That is how we enumerate shutter speeds. I photographed a white party once--guests encouraged to wear white, that is, and honestly it was a snotty snooze. Come dance time i was plenty bored so began channeling my inner NatGeo and dragged my shutter for the remainder of the night--slow sync, second curtain, even panning with animated dancers. It looked cool but upon handing images over to the dude who dispatched me he was horrified at all the LSD-like wonky horizons; he said the client was clueless as to how they were even possible. I was quite proud. We dont speak much these days. Unsophisticated viewers will react that way. shoot both ways, let them choose. Gary I know and was not at all concerned. The same thing happened at a wedding i was sent on. The bride was cute asva Disney character despute her congenital defect of a withered right arm; and she was visibly pregnant. The groom displayed nothing but love in his eyes. I shot her from the side of her--I hate to use the term--defect arm. Well i was accused of being insensitive and exploitative, goubg for shock value. I countered that despite her vitually missing limb she was inspiring. I live in SOCAL and have done many weddings here, albeit that was 30 years ago. Things were simpler then. 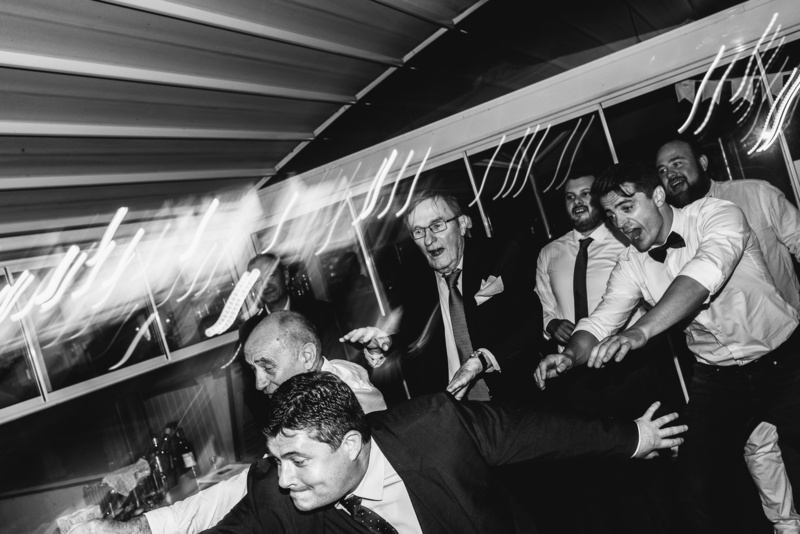 I do recall one Mexican wedding I shot where everyone was stiff and rigid, until about an hour into the reception. Once the beer started to flow, people were literally hanging from the chandeliers, making ti easy for me to get animated photos that the bride and groom loved. I also had one wedding (and only one wedding) where nothing I could do would please the wedding couple. Shoot long enough and you will have a clunker or two. Ha, would love to see the 'people literally hanging from the chandeliers', sounds like a crazy end to your wedding shoot! I was director of photography for Palm Springs Life magazine a long time ago and had to shoot ads for a local car dealer that included a naked woman sitting next to a lunch basket on a blanket in the desert. The ad ran full page. The title: "The Ultimate Lunch"